These are Model 2 design universal sheath/holster clips. 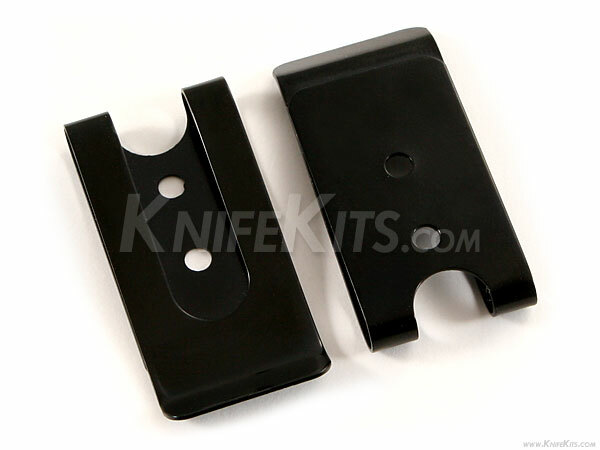 They are excellent for mounting on KYDEX and leather carry systems and are very durable. This model is black (Tactical style) and is common on military sheaths/holsters.